Deepak Gopalakrishna is a highly accomplished Product Director and seasoned entrepreneur with deep expertise in blockchain technology and digital innovation. With a doctorate in Genetics and Molecular Biology, Deepak has the unique ability to merge the rigor of a scientist with the creativity of an entrepreneur. Prior to joining BCG Digital Ventures, he founded healthcare startups spanning biotechnology to data science. In addition, he also spent 2 years funding early stage innovation with .406 ventures and the Blackstone group. As a Director, Deepak helps guide large multibillion dollar corporations in the development of new ventures and products that help drive growth into new areas. He also leads DV’s work in blockchain, pioneering new platforms of collaboration for various industries, spanning decentralized marketplaces to supply chain applications. Most recently, Deepak led the ideation, development and launch of Tracr – a powerful platform of trust in the diamond supply chain where he was the GM leading the creation of the world’s first supply chain traceability platform that has scaled beyond pilot. Other ventures he has launched include a digital-first insurer for the airline industry which saw more than 500,000 app downloads in just 18 months. 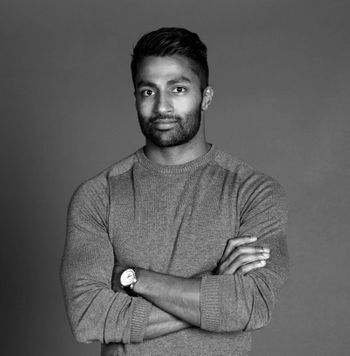 Splitting his time between DV’s San Francisco and London hubs, Deepak is a global blockchain leader for the company as well as a leader on DV’s Product team.